Sure, there are tons of high-end vaporizers making the news these days, but that doesn't mean you have to spend an arm and a leg. In fact, VaporFi is happy to announce a variety of terrific options priced under $50. You can vape on a budget with these devices which have plenty of features to love. Consider a portable vape pen or a nano-sized device to give you a great option made for travel. We promise you will still get plenty of power and performance out of these items. If you’re on a tight budget and looking for vaping products that aren’t going to drain your wallet, we totally get it. There’s no reason that you can’t enjoy an excellent vaping session and still keep your spending in check, and affordable vaping should never mean sacrificing quality. That’s why the VaporFi team puts together budget-friendly categories like our best vapes under $100 and even the best vapes under $50. We believe that an awesome, affordable vape should be accessible to everyone, no matter what your budget. Check out this selection of wallet-friendly vapes, all of which will cost you less than 50 bucks. When there are mods that can cost you up to several hundred dollars, it can sometimes feel like you’ll have to save for ages before you can get one. However, VaporFi has several awesome options for less than 50 dollars, so you can snag yourself a great model for a cheap price. Whether you’re looking to make an affordable upgrade from your current mod, or this is your first venture into vaping mods, we have something that will work for you. One of our top-sellers is the VaporFi VAIO MINI Starter Kit Bundle, a pocket-sized mod that has all the performance of something larger. Plus, the bundle includes a custom juice blend and five extra atomizers, making it a seriously smart buy. 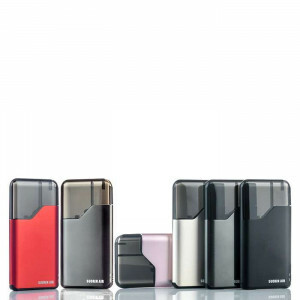 Other popular options include the Innokin Kroma-A 75W TC Vape Starter Kit and the SMOK G80 80W TC Vape Starter Kit. We offer a range of vape pens under $50, but there are a few that really jump out as customer favorites. Several of our budget-friendly vape pens come as a part of a starter kit, which gives you even better bang for your buck. The VaporFi VAIO GO Vape Starter Kit is one of our favorite all-in-one vape pens, super convenient and easily portable. In the kit you’ll get two different atomizers and mouthpieces, so you can customize your experience to fit your preference. Check out the SMOK Stick X8 Vape Starter Kit, which provides a high-powered vape pen with generous juice capacity and smooth airflow, all for less than $50. Or, if you’re on a seriously tight budget, the Kanger Top Evod Starter Kit is a quality product for less than the cost of a restaurant dinner for one. Our Under $50 section contains a large variety of vape pens, so there are plenty of options to choose from. You have your pick of brands, styles and colors, and all for an unbeatable price. Should You Consider a Budget-Friendly Vape? Do you like to save money while enjoying quality products? We’re going to go ahead and guess that your answer is yes. In all seriousness, affordable vapes are a good fit for many different vapers. If you’re new to vaping, trying out an under $50 starter kit can be a great way to get your feet wet. You can figure out what your vaping preferences are before making a big investment, and then upgrade later if you want. Or, maybe you’re an experienced vaper who wants to try something new. Perhaps you want to switch from a pen to a mod, or vice versa. Starting with something inexpensive will allow you to experiment without spending too much. 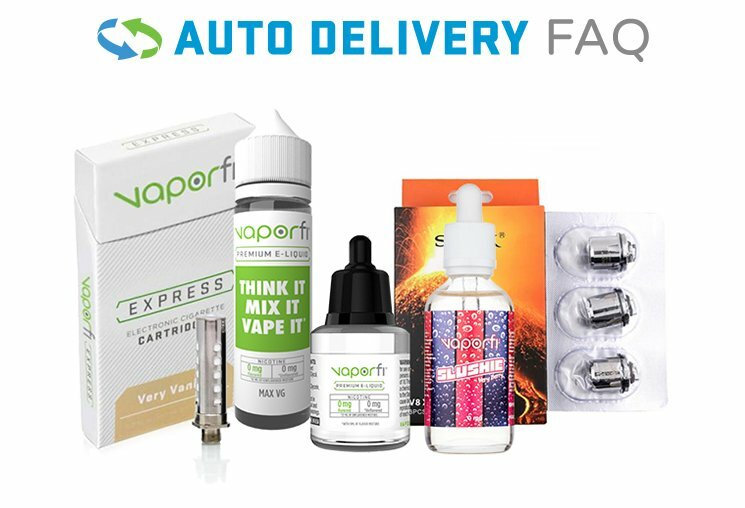 Whether you’re looking to spend $10 or $1000 on vaping goodies, VaporFi has you covered. We don’t carry cheaply made imitators, so you can be confident that just because you’re working on a tight budget, you aren’t going to end up with junk. Plus, our money-back guarantee means that you’ll get a full refund if you don’t like what you end up with – so no worries about wasted money on products you’ll never use. Many of our customers choose VaporFi because we make it so easy to enjoy your vaping hobby without going broke. First, we don’t believe that shipping charges should cut into your vaping budget, which is why every single order ships totally free. That saves you several dollars right off the bat and doesn’t require you to waste time hunting down promo codes. We also have customer programs that give you the opportunity to earn unbeatable deals and promos, just for shopping with us. The rewards program we run is simple and straightforward – you earn points for your purchases, and those points eventually score you free products. It doesn’t get any easier than that – or does it? Add in our auto-delivery program, which allows you to subscribe to regular deliveries of your favorite juices and enjoy special private sales and discounts, and you’ll really be racking up the savings. Check out our selection of vapes under $50 today, and find your next favorite vape without blowing your budget.